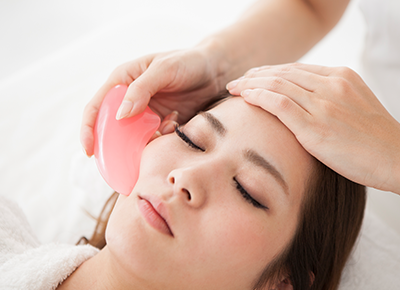 NEXT ARTICLEWhat Is Facial Gua Sha and Can It Transform Your Skin? Perfume is a tricky thing to buy for several reasons. For starters, it’s highly personal, and you don’t quite know what something smells like until it’s on your skin. Also, it's not exactly cheap. So how are you supposed to find a signature scent when there are hundreds of options to choose from? Take notes from your zodiac sign, of course. You’re an adventure seeker with an insatiable curiosity for everything around you. A fresh, beachy scent is the perfect complement to your energetic personality. It’s magnetic and vibrant yet somehow still flexible, much like the wearer. Warm and compassionate, Pisces are the human equivalent of a cozy throw blanket. With such an inviting personality, you need a scent that’s as appealing as you are. A familiar floral will add to your friendly charm. A strong and confident soul like you needs a fragrance that will hold up to your fiery energy. Might we suggest a scent that has notes of amber or wood? Something that is bold but still approachable—just like you. If there were any color to describe you, it would be evergreen. You’re reliable and steady (and thus, a great friend to have in any circle). A crisp, earthy scent will keep you centered (and smelling damn good) through anything life throws at you. As a Gemini, you tend to have a diverse set of interests that are constantly changing. You’re full of ideas, and you soak up your surroundings like a sponge. A complex and layered fragrance—one that changes as it wears down—will keep your quick mind stimulated. The most nurturing of all the signs, Cancers need a similarly approachable (read: non-pretentious) scent. Something simple and warm with notes like vanilla or rose is wearable 365 days of a year, for any occasion and around any crowd. Fact: Leo ladies command a certain presence wherever they go. A bold and unforgettable scent—like a spicy musk—will linger long after you exit a room and leave a lasting impression (in the best way). There’s much more to you than your quiet exterior, dear Virgo. With that calm comes a wealth of knowledge that could only be expressed with an equally complex scent that balances old and new notes (think unexpected combinations like leather and peach) to mirror your many layers. Libras, you are extremely charming and easygoing—which draws people to you constantly. A light, playful fragrance that has a bit of sweetness to it is reflective of your personality. Whether it’s in work or in love, a Scorpio always approaches everything with intensity and passion. A strong patchouli matches your heat and fervor note for note. Sagittarius ladies are known for their killer sense of humor and spontaneity. They’re always down for a good time (and are usually the ones bringing the fun). A bright citrus is invigorating to the senses and is like a breath of fresh air (which is what you’ve been called by many). There is perhaps no sign that is more polished than you, dear Capricorn—even amidst your constant hustle. And as a woman who keeps her nose to the grindstone, you need a steadfast scent that you can always rely on to keep you smelling fresh.